Below are several recommendations for integrating the Saleae devices into new designs. 1) Add 4x2 male headers to your PCB and use the Saleae accessory cable "Logic-to-2x4 Header (Gen 2)" to connect any of the current Saleae logic analyzers to your circuit. Accessories can be purchased here. 2) Add female right-angle headers to the edge of your board, or vertical headers to mount the logic analyzer vertically to your board. 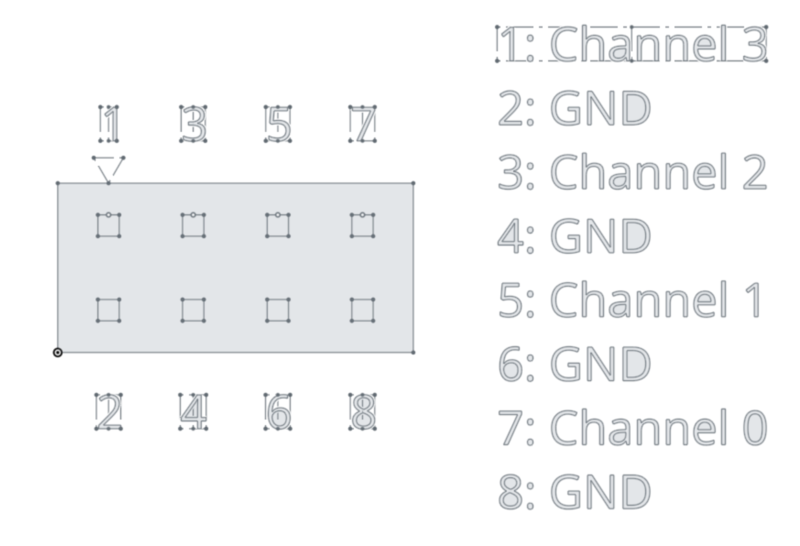 Below are diagrams of the connectors on the new Saleae logic analyzers. Note that Logic 8 and Logic Pro 8 have the same dimensions. 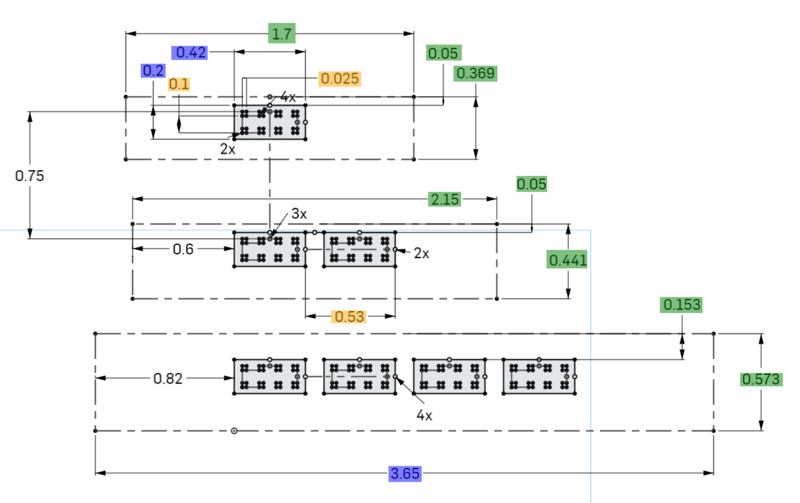 These diagrams are available on OnShape, named "Saleae Pinout Gen2." A free account is required with OnShape to view them.